Welcome to the charming community of Lewis Court Apartments! This 3-building complex holds 50 delightful suites in a set of three-storey buildings. The apartments inside this building include one, two- and three-bedroom unit suites. 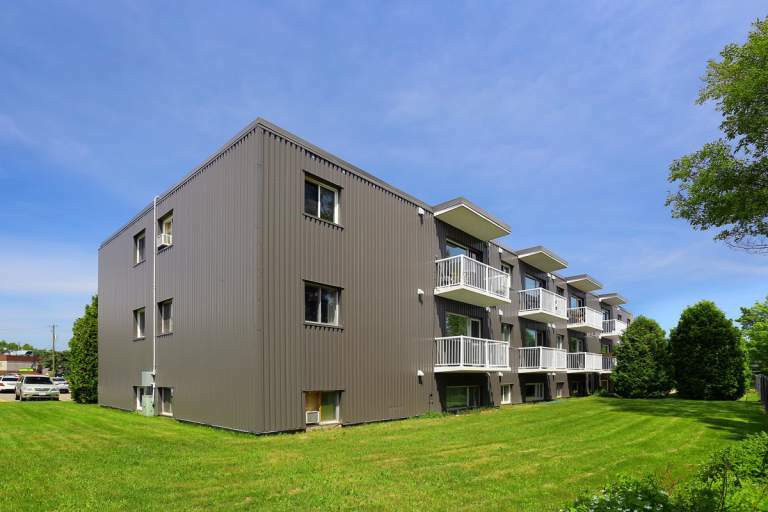 This complex is suitably found in the "Meadow Park" Neighborhood, within walking distance of two major shopping centres and a number of local schools, such as Algoma University and Anna McCrea Public School. Minutes from your door-way you will find popular coffee shops, picturesque local parks, dining options, and financial institutes for your conveniences. Enjoy the beauty of Sault Ste. Marie in our charming residential community at the Lewis Court Apartments, where you will find comfort and convenience all in one place!